In Africa, the materials that are used to make objects of daily and ritual life are profoundly significant. This publication reveals the traditions, rituals, and spiritual powers intrinsic to the materials used to create artworks. Exhibition catalogue by Frank Herreman with contributions by Herman Burssens, Michelle Chadeisson, Herbert M. Cole, William J. Dewey, Perkins Foss, Paula Ben-Amos Girshick, Manuel A. Jordan, Constantine Petridis, Christopher D. Roy, Jerome Vogel. 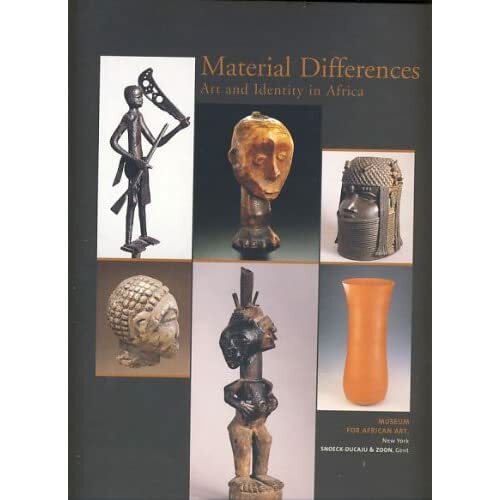 Published by the Museum for African Art, New York and Snoeck-Ducaju & Zoon, Gent, March, 2003.